In this second part of my story of the manorial structure of Soberton parish, in the Meon Valley, I continue my discussion of the various manors distributed across the parish. If you would like to read part 1, which includes an introduction to the purpose of my investigation into Soberton’s medieval past, click here. Last month, I discussed the principal manor of Soberton, located, I presume, around the site of the existing village. 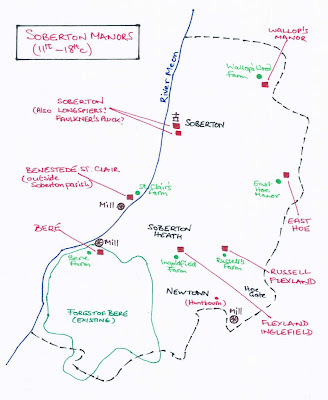 But within the parish of Soberton there were (eventually) six other manors: Longspiers, Flexland Englefield, Wallop’s Manor, Russell Flexland, Bere, and East Hoe. Bensted is identified in the Domesday Book, as Benestede, although it is attached to the Droxford Hundred rather than the Meonstoke Hundred, as Soberton is. The Victoria County History, however, doesn’t mention such a place at this location. I am interested in it largely because of its proximity to the other Soberton manors, especially Bere, and I have found another source of information to fill in the History’s gap. A large part of the estate held, in 1086, by Herbert the Chamberlain was, in the 13th century, held by a Thomas de Windsor, and throughout the 14th by the de Winton family. This manor is possibly, though it isn’t at all clear, the same manor as one called Longspiers. However, according to the Victoria County History, nothing is known after 1384 about this manor of the de Wintons, unless it is indeed the same as either Longspiers, or another manor held by the Fawconer family for the following three centuries. (Exactly where Longspiers or this Fawconer manor were located is unclear. Confusing!) However, in the late 15th century, a manor called Longsperys, with lands in Soberton and Flexland (for more about Flexland, see below) was sold to the John Newport we met briefly in last month's post, the lord of Soberton manor. In 1544, as already noted in relation to Soberton manor, Longspiers was sold, along with the manors of Soberton and Flexland Englefield, to Walter Bonham who, five years later sold them all on to the Earl of Southampton. And I presume it was these three manors, Soberton, Longspiers and Flexland Englefield, that were purchased, probably in 1714, by the same Thomas Lewis who had married Anna Curll in 1678. The combined manors ultimately passed into the possession of Humphrey Minchin of County Tipperary in Ireland, who was a member of Parliament, first in Okehampton, Devon and later in Bossiney in Cornwall. In 1791, the manor that was Longspiers was referred to in a document as Faulkner’s Pleck or Pluk or Pluck, but that name subsequently disappeared. Although it does appear as one of those lordship titles on the Manorial Counsel website I referred to earlier, but then so does “Longspiers”, so it’s hard to know whether Longspiers and Faulkner's P are the same manor or two different ones! Anyway, the manors remained in the Minchin family at least until the early 20th century. So, we already know something of Flexland Englefield. At Domesday, this appears to have been part of the Soberton estate owned by Herbert the Chamberlain, which he later granted to his daughter on the occasion of her marriage into a member of the de Venuz family. But it was not referred to as Flexland until the beginning of the 13th century, when it was still held by a de Venuz, Robert. When Robert died, his widow Constance gave to her son John a third of the rents from the estate, which she was holding in dower, in exchange for rents of de Venuz estates elsewhere. 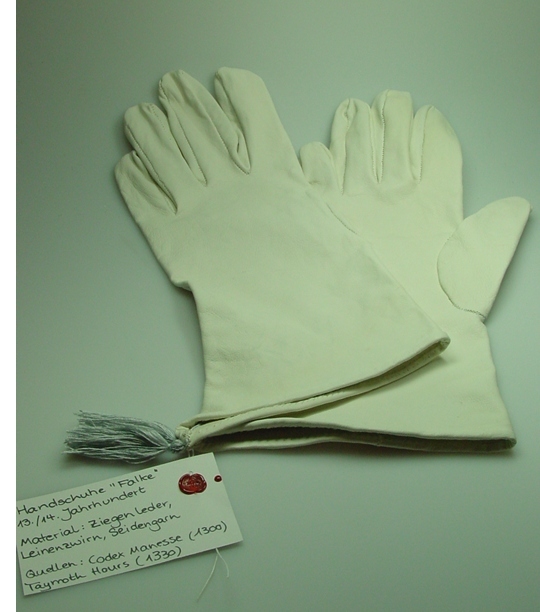 When John died, he was succeeded by his brother Thomas, whose daughter Agnes, in 1249, granted one carucate (the land eight oxen could plough in a single annual season) of land in Flexland to William de Cobham, for the rent of a pair of white gloves or 1d. at Easter. How charming! In the same year William bought more land in Flexland and, thirty years later, his daughter Joan passed the manor to an Agnes de Cobham (what relationship Agnes had to Joan is not mentioned – aunt, perhaps?) 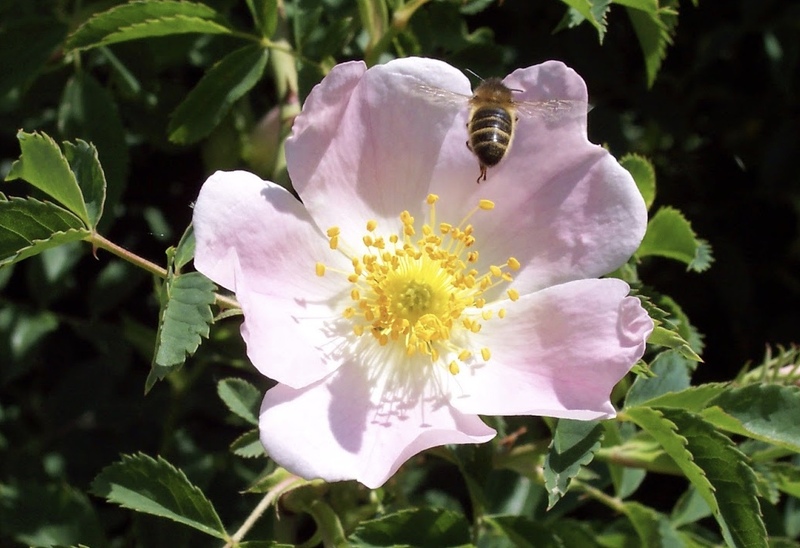 to hold for life for the rent of a chaplet of roses. Charming, again! By this time, the manor was called Flexland Cobham. Some years later, Joan’s sister, Mary, laid claim to the manor (presumably against her relative, Agnes) and by 1316 she succeeded. Nine years later, Mary granted a portion of the land and a pound of pepper to a Roger de Englefield. Twenty years after that, Roger obtained a licence from the bishop of Winchester to celebrate mass in the oratory of his house in Flexland. When Roger died in 1361, the ownership of the land, rents and facilities of his Flexland property seems to have been divided between the king (Edward III), Beaulieu Abbey and a Sir Maurice le Bruyn. Sir Maurice granted the custody of his portion of the lands in Flexland Cobham to a Geoffrey Dene of Chidden (5.5 miles to the north west) to hold during the minority of Maurice’s son and heir. However, Constance, Roger de Englefield’s widow, subsequently forcibly ejected Geoffrey and was prosecuted by him for doing so in 1364. What the outcome of the dispute was I don't know. This seems to be the last mention of the manor of Flexland Cobham, its name thereafter changing to Flexland Englefield or Inglefield. Its history then becomes obscure until 1544 when, as we have already seen, it was purchased by Walter Bonham, along with Soberton and Longspiers. So, in this story of Flexland Englefield, we have Constance, Agnes, Joan, Mary, and another Constance, all inheriting property and dealing with it in a way that suggests they had considerable control over their own affairs. And a couple of them sound decidely ruthless! The site of the manor is today marked by Ingoldfield Farm, which apparently has early 13th century origins. The estate called Wallop’s Manor was probably in origin the manor which Henry the Treasurer held at the time of the Domesday Book. The Wallop family held a manor here from very early times. In the 13th century the overlord was the abbot of Hyde, and the manor was held by a Richard de Wallop but, in the 14th century, the overlordship changed to the bishop of Winchester. However, three centuries later, the manor was still in the Wallop family, being held by Sir Robert Wallop, whose principal estate was at Farley Wallop near Basingstoke. Robert made a very good marriage, to Anne Wriothesley, daughter of Henry Wriothesley, the third Earl of Southampton. But Robert was one of the judges at the trial of King Charles I and, although he did not actually sign Charles I’s death warrant, at the Restoration of the monarchy in the 1660s, Parliament denied Robert receipt of any benefit from his estates, and sentenced him to be drawn upon a sledge to and under the gallows of Tyburn with a halter round his neck, and to be imprisoned for life. The sentence was carried out in 1662. He died intestate in the Tower in 1667, and was buried at Farley. In 1661 the king had granted Robert Wallop’s property in Soberton (and perhaps elsewhere?) to Thomas Wriothesley, the fourth Earl of Southampton, and others, empowering them to sell the whole or part of the premises for the benefit of Lady Anne, sister of the earl and Robert’s wife, and of their son and heir, Henry. At the beginning of the 18th century, the manor was sold, probably to Thomas Lewis, the lord of the chief manor of Soberton, who was adding to his property in the parish. He was now in possession of the best part of Soberton’s manors. The site of this manor is marked by Wallop’s Wood Farm, which apparently has its origin in the early 13th century. The manor of Flexland or Russell Flexland was originally a dependent of the main Soberton manor belonging to Beaulieu Abbey. In the 15th century, it was held from the Abbey for the rent of a pound of pepper. However, in the 13th century it was held by a Ralph Russell, and remained in the Russell family until the early 14th century, when it passed to Sir John de Drokensford (Droxford), who was the bishop of Bath and Wells from 1309-1329. In the 1370s, Sir Maurice le Bruyn pops up again, with his wife Margaret, who was probably the sister and heir of John de Drokensford’s grandson, also John. The le Bruyns’ holding of the manor was entailed in two parts on Margaret’s two daughters by a previous husband, both apparently called Margaret (?). But, in 1405, it was the husband of (the younger?) Margaret, Sir Peter Courtenay of Devon, who held the whole manor on behalf of Margaret. She passed it to her grandson, William, Lord Botreaux, and his heir was his daughter, another Margaret. The manor then seems to have been subdivided and settled on several different people: a William Warbleton and his wife Margery; William's aunt, Elizabeth Syfrewast; and three of his cousins, Agnes Skulle, Margaret Breknok and Sybil Rykys, all Elizabeth's daughters. When William died in 1469, his heirs included a male cousin, but also his cousins Margaret Breknok and Sybil Rykys, and his second cousin William, son of Agnes Skulle. And it was this William to whom Russell Flexland descended. The history of this manor for some time after this is obscure, but it eventually fell into the hands of the William Dale of Soberton, whom we have met before, and at length the manor was sold to Thomas Wriothesley, the first Earl of Southampton (again!). From early times the Wayte family held the manor of Bere in the extreme west of the parish and to the north of the Forest of Bere. 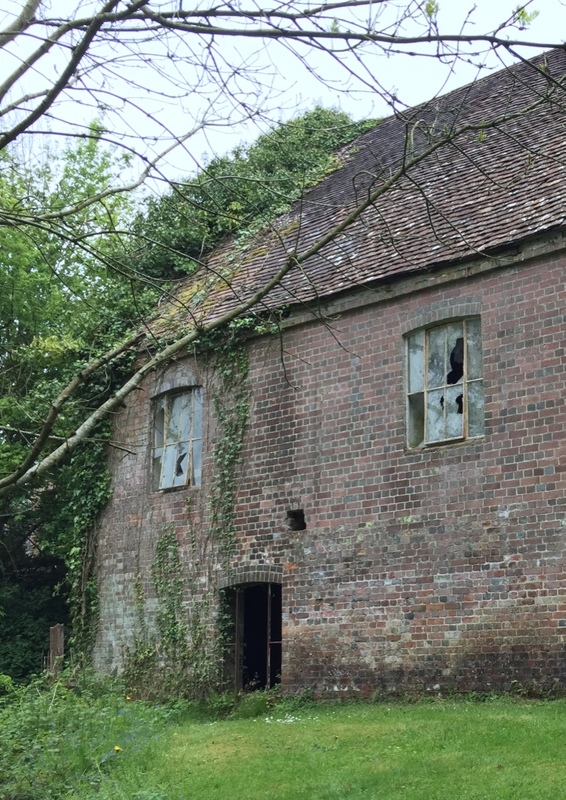 They held it from the bishop of Winchester, and it had a mill, later called Soberton Mill, which still has a turning wheel, though it is not a functioning mill. In 1561, William Wayte, who owned extensive lands throughout Hampshire and the Isle of Wight, died leaving six daughters and coheirs, Eleanor, Mary, Honor, Margaret, Elizabeth, and Susan, and, I presume, no son. The manor of Bere passed to Elizabeth, and from her to her son, Sir Richard Norton. When Richard died in 1612, Bere is referred to only as a “messuage” (a dwelling with its adjacent buildings and lands) rather than a manor, even though it included 100 acres of land, and it does seem that “manorial” rights, if Bere had them, had by this time lapsed. The site of the manor is marked today by Bere Farm. In the reign of Edward the Confessor, the crown manor of East Hoe was held by Ulward (or Wulfward) but, by the time of Domesday, it had become another of the many possessions of Hugh de Port. It continued with the de Ports until, in the 12th century, it passed to the Hoe family. In 1302 there is a record of another charming (and rather curious) form of rent, when half the manor was granted to a Roger Launcelevee and his wife Joan for the rent of one rose annually on the feast of St. John the Baptist (June 24th). In the late 14th century, the lord of the manor of East Hoe was Sir Bernard Brocas, who was a prominent commander in the English army during Edward III’s French campaigns of the Hundred Years War. 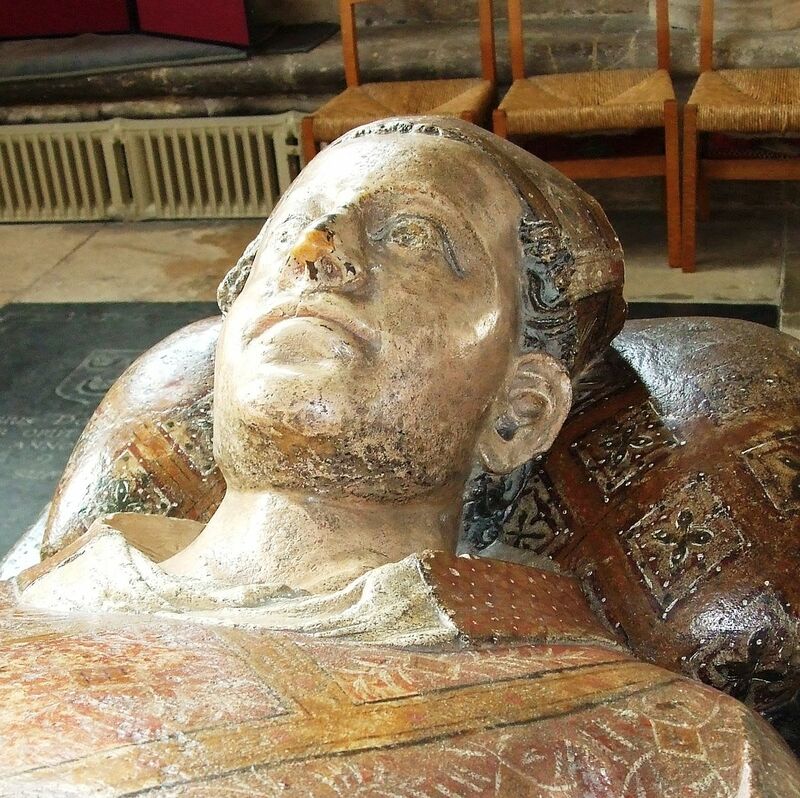 He was also a close friend of both the Black Prince and William of Wykeham, who became the bishop of Winchester. Bernard married an heiress, Mary des Roches, who brought him a residence at Roche Court (now a private school) near Fareham in Hampshire, though the Brocas’ main residence was Beaurepaire, also in Hampshire, and they owned another manor at Clewer Brocas in Berkshire. Presumably, then, Bernard didn’t spend much time, if any, in East Hoe. Apparently, he was a great patron of Southwick Priory, which is six or so miles to the south of East Hoe. The Priory was founded by Henry I in 1133 for Augustinian canons, originally within the walls of nearby Porchester Castle, although it had moved to Southwick by 1153. In 1385, Bernard granted his East Hoe manor to the Priory, in return for the canons praying daily for the benefit of the king, Richard II, of Bernard himself and his wife Katherine while they lived, and for their souls after death, and for the souls of the late king, Edward III, Mary des Roches, Bernard’s previous wife, and the parents and ancestors of Bernard and Mary. East Hoe manor continued to be the property of Southwick until the Dissolution, when Henry VIII granted it to a Thomas Knight, and it continued in the Knight family until 1619. A century later, East Hoe was sold to the same Thomas Lewis we have met before, lord of the chief manor of Soberton, and by this time the owner of nearly the whole parish. The Victoria County History suggests that the site of East Hoe is marked by Hoegate Farm, but an East Hoe Manor still exists, which is presumably the actual site of the original manor. Hoegate Farm is about two miles to the south, closer to the putative manor of Huntbourn(e) (according to the lordship title indicated on the Manorial Counsel website), but which has no record in either Domesday or the History. 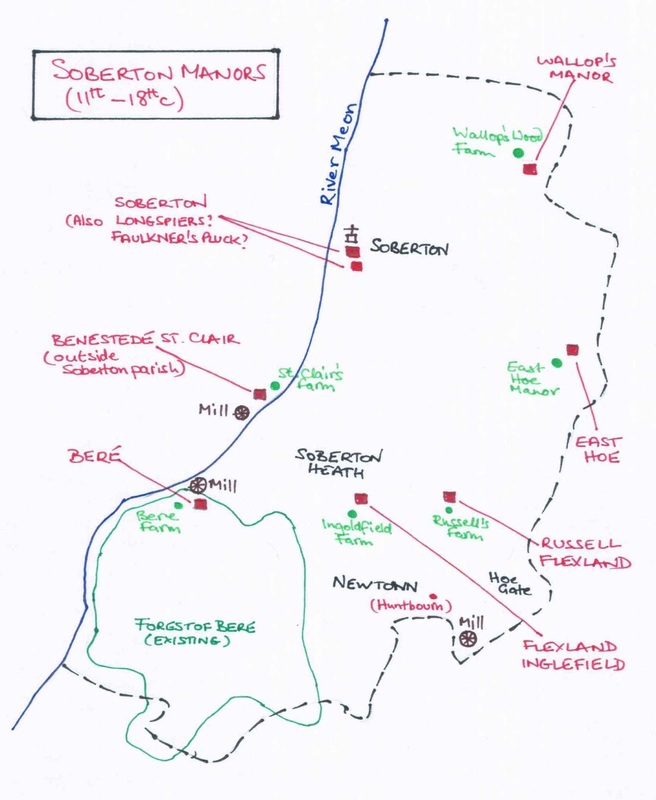 My information about Bensted has come from a document written for the Hampshire Field Club and Archaeological Society, The manor of Bensted St Clair. In the 10th century, the place was known as Bienestede, and was a possession of the bishop of Winchester. At Domesday, it was still in the bishop’s possession, but the manor was held, again, by Hugh de Port. Although there is scarcely any settlement now at this location, in 1086 it was a fairly significant estate. According to Domesday, the estate had six tenant households and six slave households, so perhaps 50 or so people. Interestingly, the manor was among a minority in Domesday where the demesne lands (the lands farmed for the lord's personal benefit) were much larger than tenants’ lands and, until the 16th century, the manor was worked almost entirely for the demesne. Over time, Bienestede became the manor of Bensted St Clair, then Seyntcleres Court, and eventually St Clair’s Farm. The change of name came from the family of St Clair (or Seyntcler, Sencler, Sinklar, Sinkles – there are many variations), which held the manor from about 1160 until the end of the 14th century. It seems to have last been referred to as Bensted in 1558, after which the name disappeared. What of those other Soberton people who had an interest in Bensted St Clair? 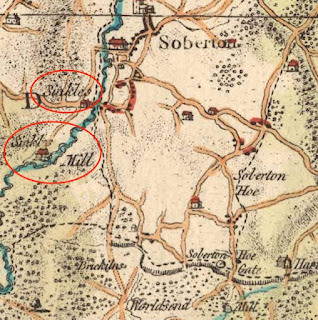 During the 14th century, associations grew between the St Clair family and the Waytes, from Bere manor, a short distance across and down the river, and it seems likely that the Waytes were tenants of the Bensted fulling-mill, shown as Sinkles Mill on Taylor's 1759 map. The mill was located a little over half a mile downstream from the manor house, here shown simply as Sinkles. 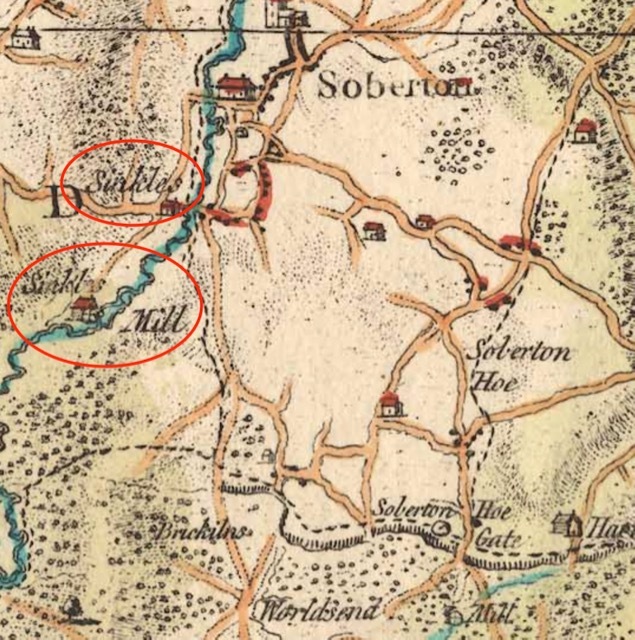 From the 1759 map of Hampshire by Isaac Taylor. In 1450, Richard Newport, the then holder of the chief Soberton manor, was appointed firmarius (a sort of farm manager) of Bensted manor. Finally, in the early 18th century, Thomas Lewis, by then the lord of almost the whole of Soberton parish, extended his holding still further by acquiring St Clair’s farm under a lease from the bishop of Winchester. The manor of Bensted St Clair is marked today by St Clair’s (Sinkles) farmhouse, a 17th century building. The picture I have drawn of Soberton's manors is not, perhaps, as lucid as I would like. I might of course obtain further clarification by reading more widely but, for now, I feel I have learned enough to sate my immediate curiosity. To get a fuller, clearer picture of the manorial structure of Soberton, I could explore other, contemporary, documents. The Victoria County History’s information is detailed but, as I have said, at times confusing. But to be honest I don’t need more, well, not right now. I wanted to gain a general picture of the shape of mediaeval Soberton, and perhaps to discover some of the people involved, and I’ve done that. I have learned, at any rate, that, by the early 18th century, after all that complicated toing and froing of ownership, one man – Thomas Lewis – held nearly all the manors in the parish. However, he died in 1736 and whether he passed his great holdings on to his heirs I haven't discovered. Firstly, I do wonder again – for I have mentioned it in previous posts – what the ordinary Soberton inhabitant made of all the toing and froing of ownership, or indeed whether it even affected them very much. I suspect “not much”, in either case. I imagine it was largely of little concern to them who their “lord” was. They probably just kept their heads down and got on with their work... I suppose, in many cases, tenants scarcely even knew who their lord was, especially if the lord was of the absentee variety. 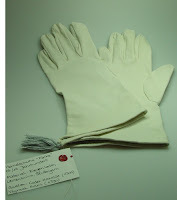 As far as tenants were concerned, their masters were the reeve and steward or bailiff, and their own lives were lived with little or no connection to the individual who actually benefited from their labours. Secondly, there do seem to me to be quite a lot of manors here in Soberton within a relatively small area. I wonder to what extent they were successful economic units? Presumably they must have been reasonably lucrative otherwise wealthy men would not have been so eager to acquire them. But what I also suspect is that the Soberton manors were, for many of the owners, not their main, or even a major, source of income. To what extent the owners, especially those higher up in the social hierarchy, spent any time in their little Soberton manors is anybody’s guess. One suspects that the answer is, not much!